The approaching autumn means also start of the season of the Northern Lights in Lapland and Finland. Past week, during a moderate geomagnetic storm (Kp max ~ 5 ), first aurora observations were reported from Central and Southern Finland in the Taivaanvahti observation system of the URSA (the Astronomical Association of Finland). The all-sky imagers at SGO were switched on earlier this week. The first observation night, 25 August 2014, was clear and some minor auroras were visible in the northern horizon of the sky. The dark time is still short, but every night is about nine minutes longer than previous one. 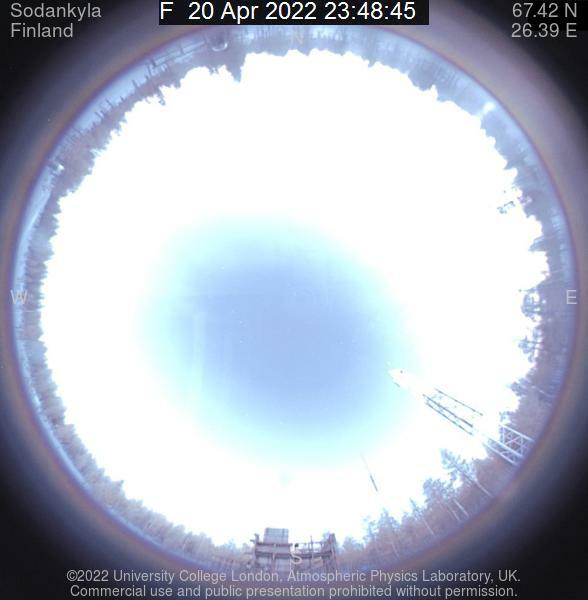 The all-sky camera starts operation, when the Sun is six degrees below horizon and the latest image is updated once per minute, when camera is in operation. The starting season is 15th winter with present imager. Of course, some parts of the camera has been replaced, like the intensifier and data storing computer. The iCCD imager has three filters for auroral spectral lines: 428.8 nm (blue), 557.7nm (green) and 630.0nm (red). The video is composition of the image sequence every minute. Note, the time is running fast making auroras more active than they are in reality. More movies about active northern light display (ie. 25 March 2014) can be browsed from SGO data server. 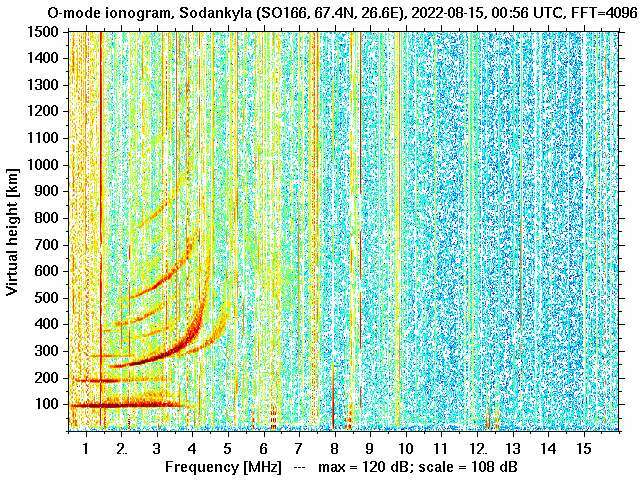 Sodankylä Geophysical Observatory has long tradition of automatic aurora imaging. Digital era of all-sky cameras started in 2000, when all-sky camera with photo tube intensifier and iCCD unit was bought. Before that film camera with spherical mirror were used for all sky imaging. SGO camera is part of the MIRACLE network. More details about the imagers can be found from MIRACLE website. SGO has also EMCCD spectral imager, which operates in Abisko, Sweden to get better overlapping with the similar imager of FMI in Kilpisjärvi. SGO hosts also All Sky Colour Imager of APL, University College of London, UK. The main purpose of the imager is support for the Fabry-Perot Interferometer, which has been in operation since 2002.